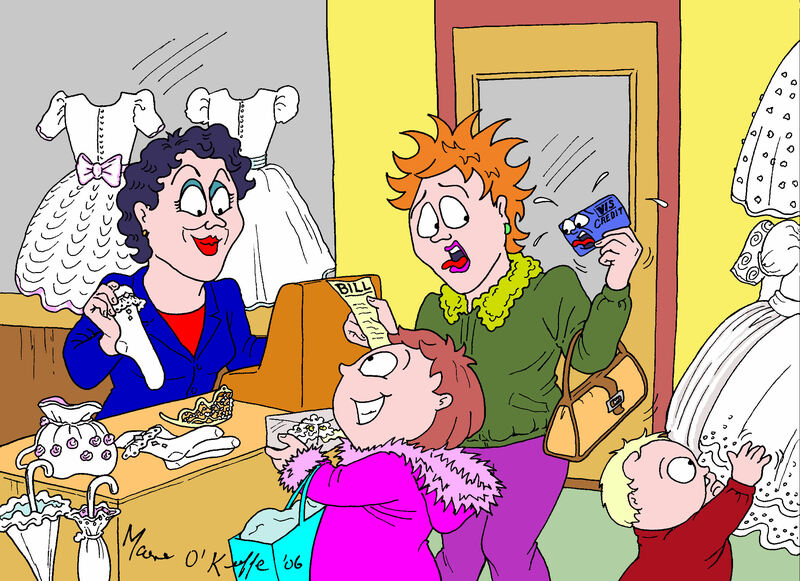 As we approach the month of May and First Communion season, some Mammy’s get carried away with the expense of the outfits, party, bouncy castle or fake tans for their Communicant’s big day. I wrote this some years ago when my now teenage daughter was preparing for her own First Communion ……. Communion dress shopping can be an expensive business! “Mom, most of the girls in my class already have their dresses!” daughter informed me, hardly a wet week back to school after the Christmas break. “OK, maybe next Saturday then, ” I said, pushing aside all thoughts of the over-burdened credit card, and little knowing what lay in store. This entry was posted in Uncategorized on April 24, 2014 by frazzledmammy. Why didn’t I do the Wodan? 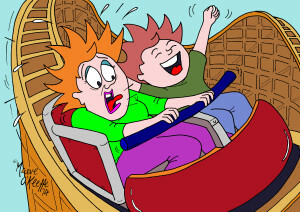 There it stood – a gigantic Timburcoaster, a rollercoaster made of wood, creaking in the wind. The occupants of its cars screamed at each dizzying stomach-churning bend on what seemed be terrifyingly high rickety rails. “C’mon Mom, I’d love to do it,” begged Junior. His pal and the pal’s parents who brought us to the theme park weren’t interested. I’m scared of heights and didn’t want to further wreck an already dodgy back. I dithered, reneged; regretted it afterwards. This entry was posted in Uncategorized on April 23, 2014 by frazzledmammy. Hi, this is Maeve O’Keeffe, a frazzled mammy who’s been writing a column in the Cork Evening Echo on the trials and tribulations of muddling through motherhood. I’m new to blogging. This is my first post and more will follow! 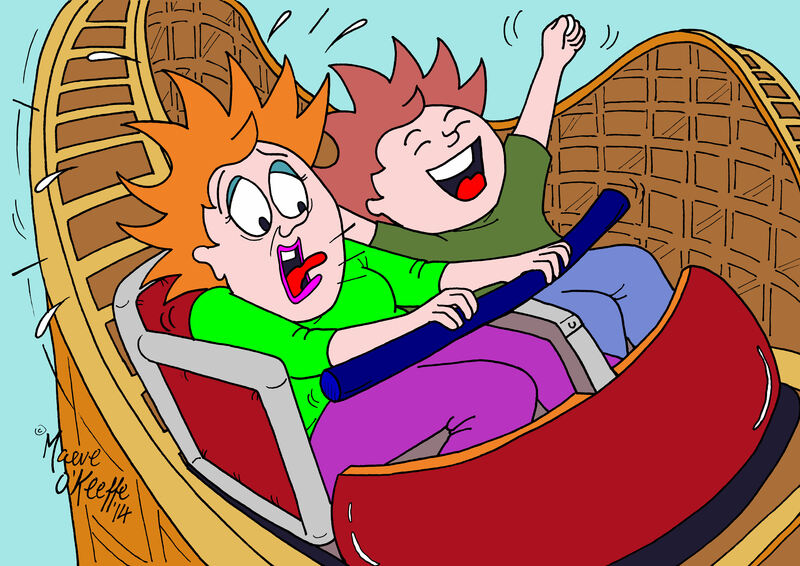 This entry was posted in Uncategorized on April 19, 2014 by frazzledmammy.